64. 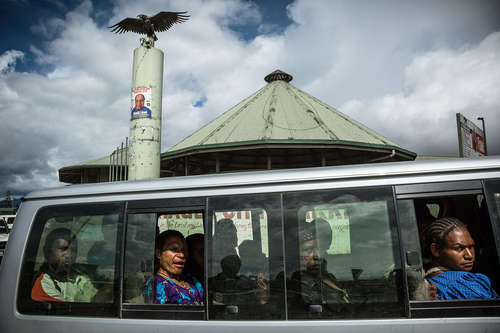 People in a minibus in Mount Hagen, the Western Highlands provincial capital, which is considered to be the most dangerous place not only in Papua New Guinea but also in the whole Pacific Region. In early 2013, a 20-year-old woman, Kepari Leniata, was killed there after being accused of witchcraft. She was set on fire and burned alive in the center of the town in front of a crowd.